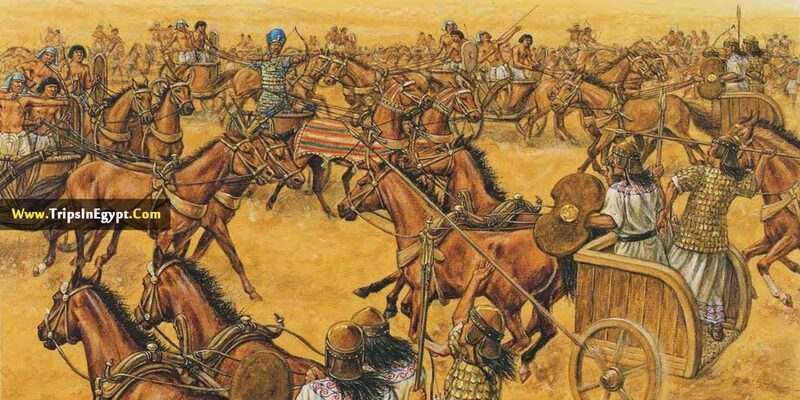 The decisive battle of Pelusium was between ancient Egypt empire led by Pharaoh Psametik III (526-525 BCE) and the Achaemenid Empire (The First Persian Empire) led by Cambyses II (525-522 BCE) and played a crucial part in shaping the future of both kingdoms as the throne of the pharaohs was transferred to Cambyses II of Persia. This battle ended with the victory of the Persian army due to using the religious beliefs of the Egyptian civilization against them which involved a very abstract tactic as the Persian army used cats as hostages. The battle of Pelusium started due to the irritating, foolish and aggravating actions of Pharaoh Amasis II the father of Psametik III. The cause of the battle started when king Cambyses asked Amasis’S daughter for marriage but he didn’t want to marry his daughter to a Persian who was considered to be less in stature even if he was a king so instead Amasia II send another girl named Nitetis to take her place as the future wife of Cambyses but when she stood in front of him, she explained Asamis’s wickedness and trickery and so Cambyses vowed to avenge his insult. Amasia II bitterness towards phanes of Halicarnassus who was a wise councilman, mercenary, tactician and one of the most respected men in the military and royal community of Egypt for some unknown reason, led phanes to become his enemy as he escaped to Persia and assisted the Cambyses II’s army in their conquest of conquering Amasis II by conveying all the strategy and tactics of the Egyptian army and was the true mastermind in the defeat of Egyptian empire. 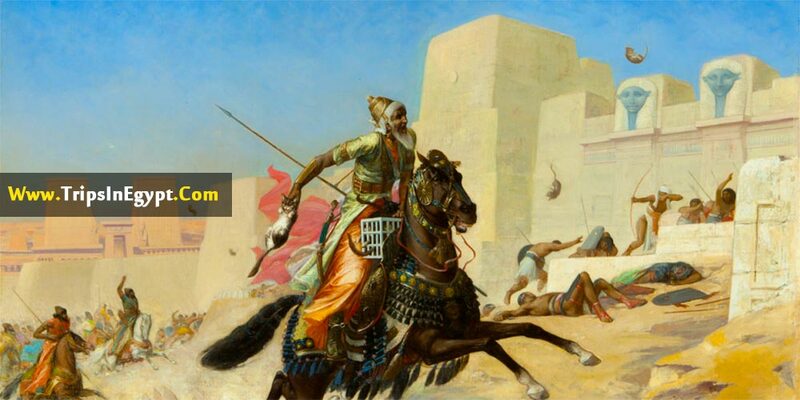 Amasia II habit of making enemies and creating bad diplomatic relations with his neighboring countries led to his defeat like the king of Arabia who granted safe passage to Cambyses army and supplied him with his personal troops which facilitated and contributed in the destruction of the Egyptian empire. Amasis died six months before Cambyses reached Egypt which left his son Psamtik in charge who hoped to save his country by entirely depended on his army and his limited military experience despite the fact that all of Egypt’s allies like the Greek forces, the grand fleet of Polycrates of Samos and Egypt’s most prominent tactical advisor phanes of Halicarnassus, switched sides to the Persian. 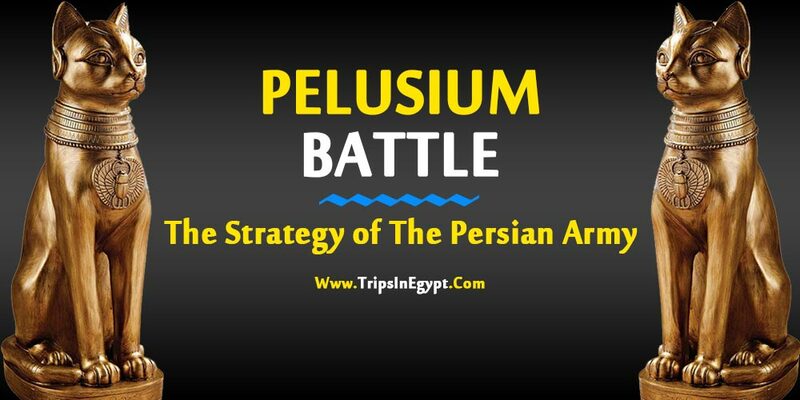 This battle of Pleusium was an extremely unique battle because it was based on an early form of psychological warfare as told by Herodotus (a Greek historian). The Persian had a brilliant tactic to use the Egyptian religious belief against them. The Persian put cats in front of them while attacking, the Egyptians didn’t dare to shoot an arrow or even attack in any form as feared they might hurt the cats. This strategy was based on the concept that the ancient Egyptian worshiped the goddess Bastet (the cat goddess of beauty, protection, household, and fertility), during this period, Bastet was one of the most loved and honored goddesses in Egypt. And because of that casts were viewed as a symbol of Bastet which resulted in them being very protected and highly regarded plus the punishment for killing a cat was the death sentence and absolute damnation in the afterlife. The Egyptians lost about fifty thousand men while the Persians army only lost seven thousand men which led to the Egyptian army to retreated to the city of Memphis. Cambyses took his troops to Memphis and was able to defeat what is left from the Egyptian army which made Psamtik surrender the city and live under the watch of the Persian emperor but he was later died when he attempting a failed revolt against the Persian Empire. The Persian would rule Egypt as an autonomous nation for about 200 years until the arrival of Alexander the Great’s armies and conquering Egypt in 331BCE and later on ruled by a Greek emperor until annexed by the Roman kingdom in 30BCE. Finally, Egypt has many historical mysterious temples & tombs which contains hidden secrets about the battles of ancient Egyptians, so ancient Egypt is worth an adventurous trip to unlock these secrets with an Egyptologist tour guide through our fabulous Egypt tour packages, or transfer to the capital of Pharaohs “Luxor”, or even discover the land of myths “Aswan” by our gorgeous Nile cruises.